"I SEES WHAT I SEES"
For those that can see, we are about to go to sea. This is more than a play on words. Let us look upon the Seas of the Moon. Let us probe their murky depths. Those silent symphonies, the lunar seas do hold life, but life unexpected. 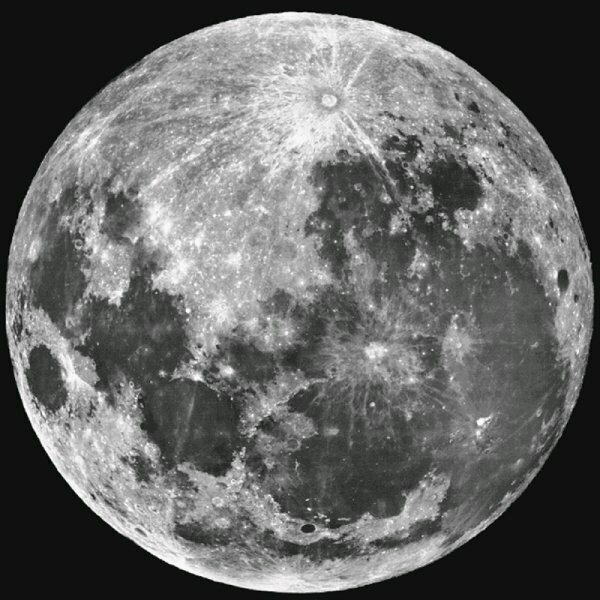 This is the Moon turned 180 degrees. To shut up the skeptics, this is HST there is no distortion, there is no atmospheric interference, there is nothing but space, and the Moon has no dust storms officially. So what one sees is actually on or part of the Moon with the Hubble photo. Agreed? Why my God, there appear to be faces staring out of these dark abysses. Notice the hook nosed images connected by the line! The hook nosed people are the ones with side profiles. (note the nose) The rest of the images are looking straight at you. Sea legs? Nah! See eyes! I have added little pink eyes were appropriate. Why, hello there! Not circled is a startling image of an intelligent looking lion or gorrilla, whose nose turns into a smiling mouth, and whose mouth turns into the chin of a smiling boy/alien. Note: Once you have acheived the exercise of changing the lion/gorrilla into the smilling boy/alien, and the changing of the boy/alien into a lion/gorrilla, you will have adjusted your perspective. Don't forget to look at page (27) on my Giza Faces site to see the man/lion transformation at Giza. More repetition of the same scenario. Hint: A flat plasma screen moved back and forth allows quickest adjustment (polarization effect), if you are using a standard CRT try adjusting the brightness and contrast back and forth. One more hint is to get up and walk away from the display by fifteen to twenty feet to change your perspective.